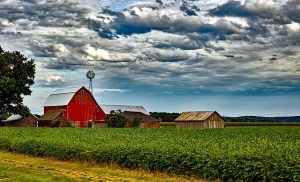 There was a time in the United States when it was very common to work as a farmer. In 1820, 72 percent of the workforce was employed in “farm occupations.” By the late 1980s, that figured had fallen to just about 2 percent. The industry is aging, too. According to the Labor Department, today the median age of farmers in the U.S. is 55.9 years old. But, that might be starting to change. These days, a growing number of young workers are going into farming, and they’re often leaving behind desk jobs to do it. The number of farmers aged 25 to 34 increased 2.2 percent between 2007 and 2012, according to the latest U.S. Department of Agriculture data, per the Chicago Tribune. This is only the second time in 100 years that the number of farmers under the age of 35 has increased. These young people are already starting to have a real impact on this challenging industry. “There’s real power in the young people and what they’re bringing to this, and to the agriculture, which is a tedious, tiresome, labor-intensive, and low-wage industry,” Henry Gordon-Smith of Blue Planet Consulting told Civil Eats.